Every commit contains a change-set, a commit date, the committer name, the commit message and a cryptograph SHA1 hash. Local commits can be published by pushing it to a remote repository. To be able to push you need to have sufficient rights and you need to have access to the remote repository. When you cannot push directly you can create patches. Patches can be e-mailed to someone with access to the repository. Each patch contains an entire commit including the commit message and the SHA1. 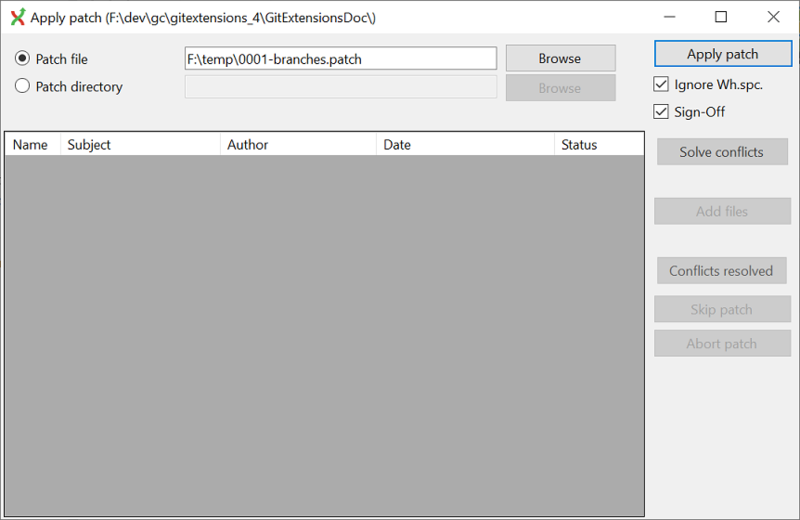 Format a single patch or patch series using the format patch dialog. You need to select the newest commit first and then select the oldest commit using ctrl-click. You can also select an interrupted patch series, but this is not recommended because the files will not be numbered. When the patches are created successfully the following dialog will appear. 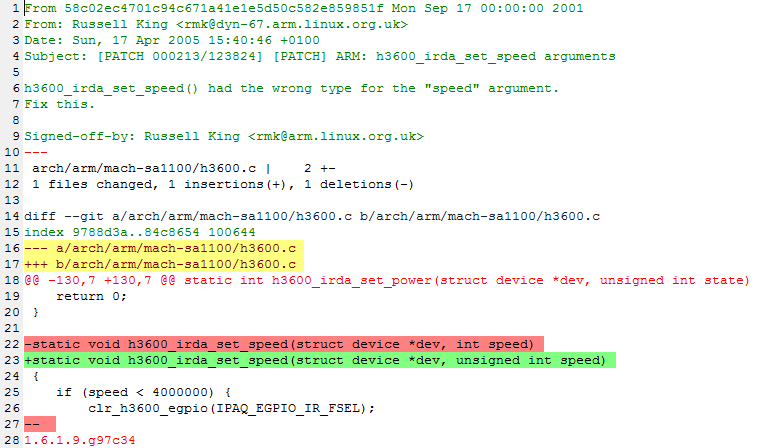 It is possible to apply a single patch file or all patches in a directory. When there are merge conflicts applying the patch you need to resolve them before you can continue. 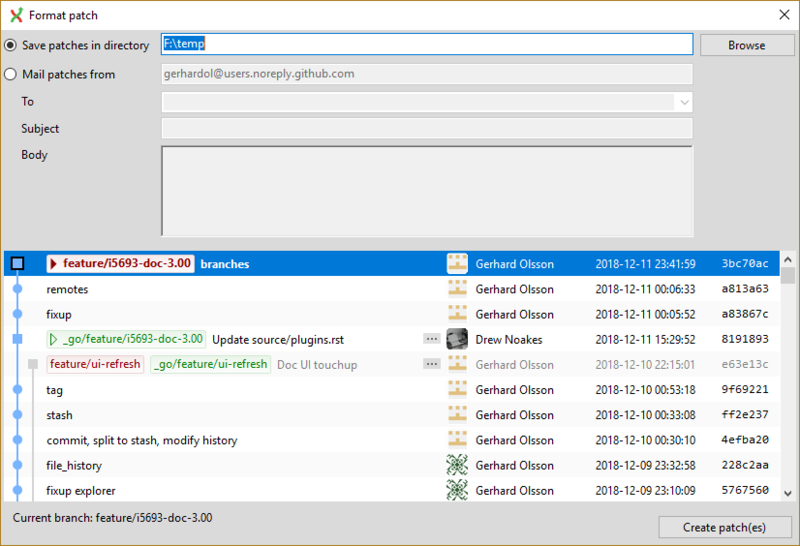 Git Extensions will help you applying all patches by marking the next recommended step.